The Brick Castle: Hotter New Shoes For Summer! 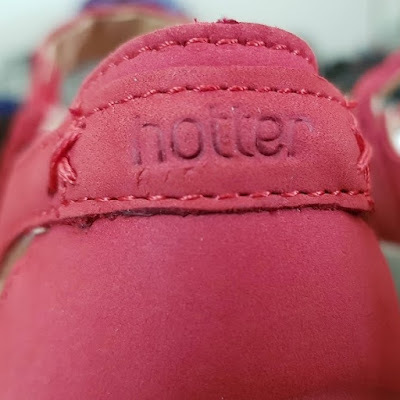 Hotter Shoes review. 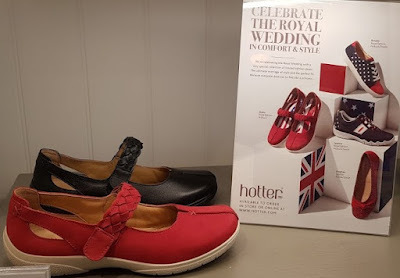 I had a good look around the store, and Hotter really have increased their ranges to suit a much broader range of customers. I saw several styles I really liked, I was even tempted by some boots, but it was a gorgeous day and it seemed a shame to try boots on just before Summer! 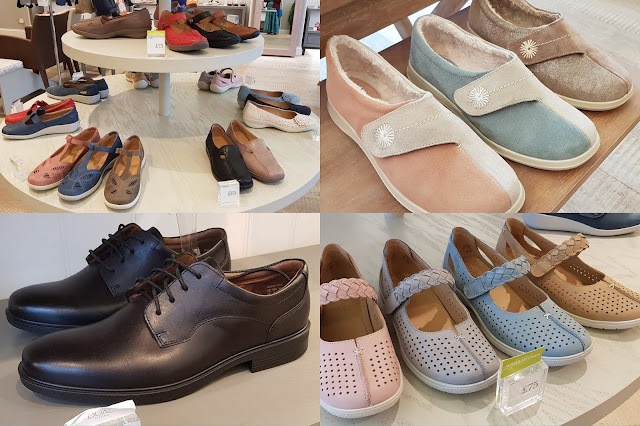 I'm almost embarrassed to say it, but I like my year old Hotter shoes so much that I genuinely couldn't resist choosing the same style when I went into store last month. 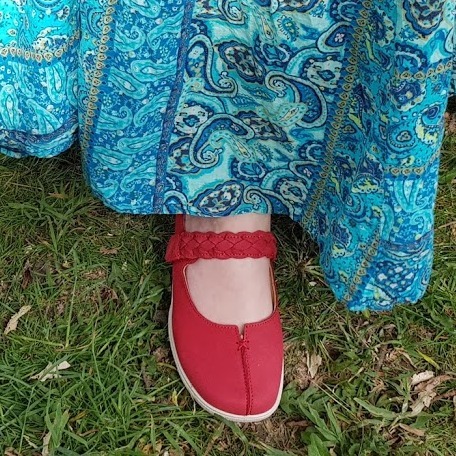 It is boring to be safe sometimes, but I hope you'll agree there isn't much that's boring about my new bright red Shake shoes. I'm not what you'd call a royalist, but I like the young royals and their work with Heads Together. To celebrate this year's royal wedding Hotter Shoes did something quite novel - they 'married' the 2 countries by adding a Union Jack and a Stars And Stripes inside a selected range of limited edition shoes. How could you not love this? 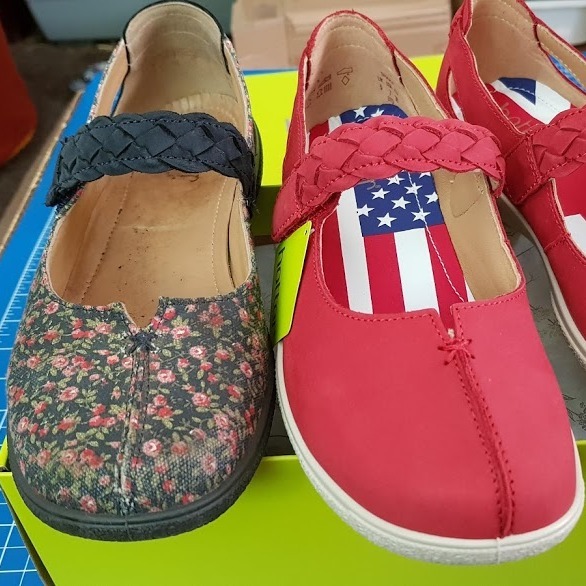 They are really spiffy, and I really love the fact the flags are hidden when you wear the shoes. I like secret details like that. 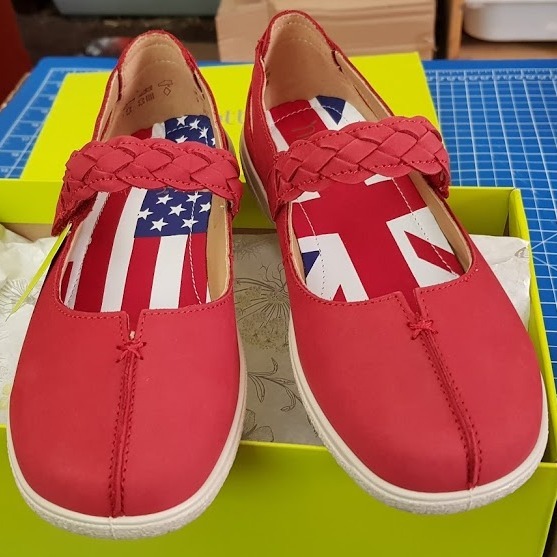 My shoe size with the fancy royal wedding design wasn't in stock, so the Hotter sales assistant ordered them for free delivery. I was confident of the fit, so chose home delivery rather than to the store. Delivery was around 9 days with the bank holiday weekend. My shopping partner Sim was luckier - she even wore her new shoes home! The shoes are really well made. My 4 year old pair are still for special and still looking great. They're a comfortable soft material and nicely moulded to my feet now. My pair from last year have had a lot of use and walked many, many miles over all types of surfaces from sand to mud and gravel, with 2 school runs a day and some dancing thrown in, and the only signs of wear are the toes are starting to fade. No stretching, undone stitches or scrapes, despite the usual Manchester puddles and persistent rain. 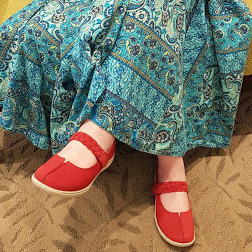 I love the bright red of my new pair of shoes. I'm not an incredibly adventurous person, but I think it's in there somewhere, and I like to wear shoes that make a statement. Hotter Shoes price range is comparable with other good quality footwear and far cheaper than the latest trainers. I honestly believe they are worth it. 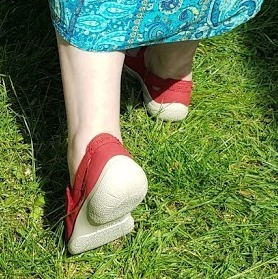 My Shake shoes from last year have already outlasted any pumps I've bought before, and although at first glance they look like regular canvas, they're actually 'velvet Nubuck'. 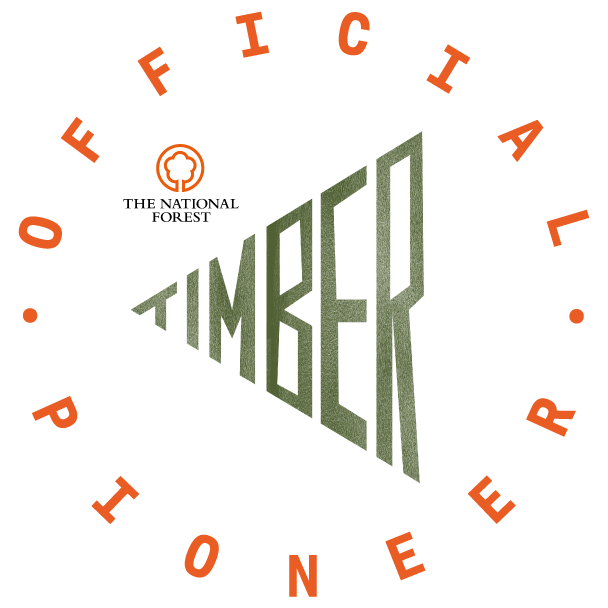 Far more robust and water and stain-resistant. As you get older you really begin to realise how important your feet are, and how easy it is to wear shoes that leave you sore and swollen. In Hotter Shoes, especially by the end of the day, you really are glad of that cushioned comfort sole. 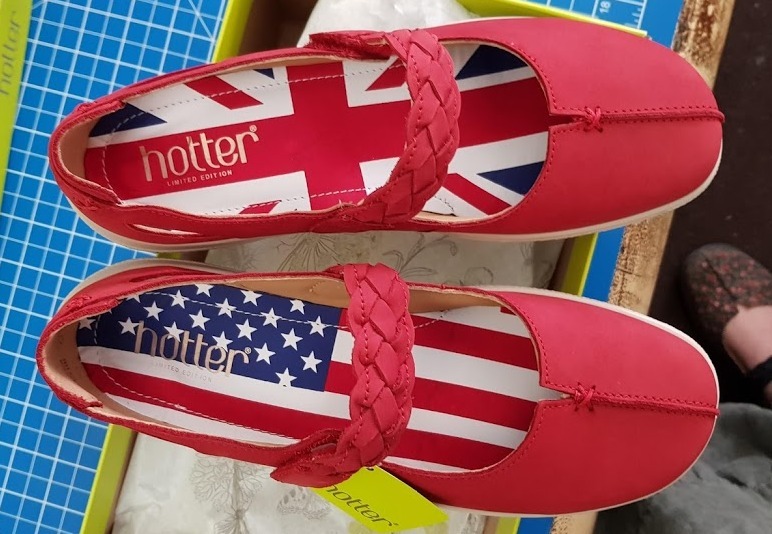 Hotter don't only make shoes in ladies styles, they also sell men's shoes, slippers, dress shoes and boots, and also have a large selection of wide-fitting shoes. 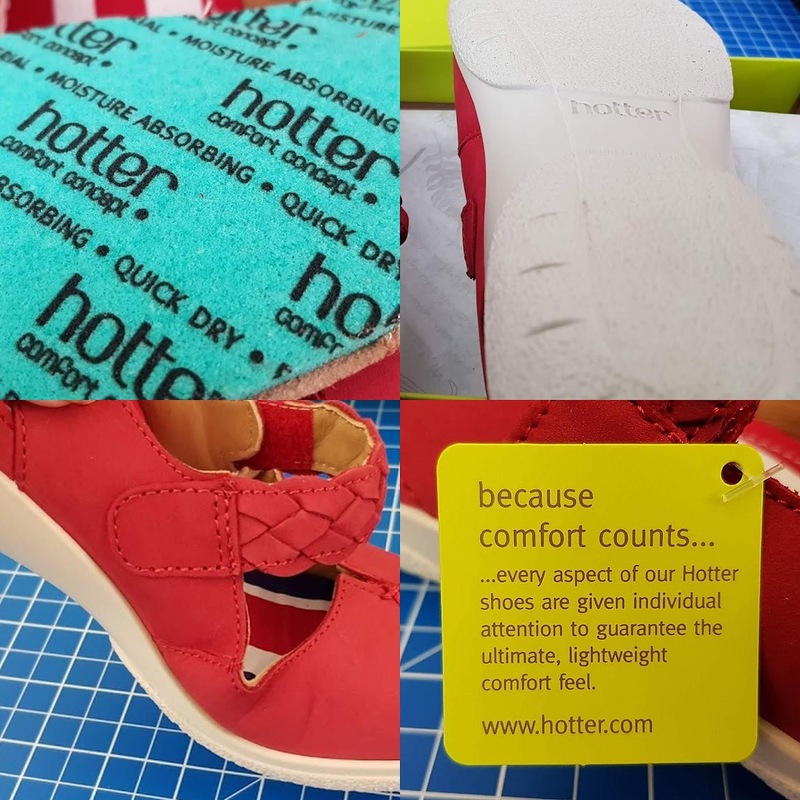 You can find out more about the entire Hotter range and that fabulous comfort sole on the Hotter Shoes website. 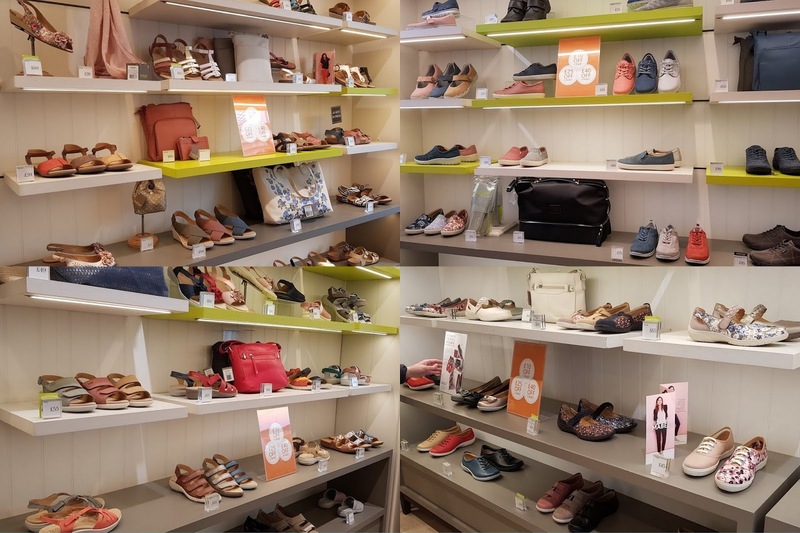 At the time of typing, there is a special offer 3 for the price of 2 on full priced footwear and handbags. On Friday 22nd June 2018 Hotter stores will be hosting a Tea Party to raise money for Marie Curie. 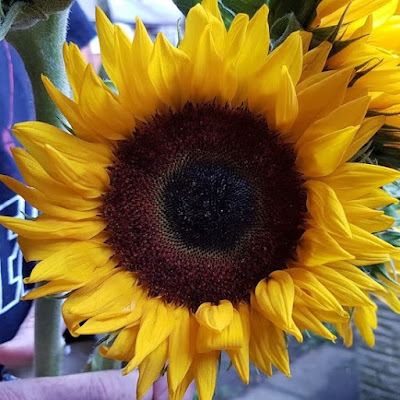 We had a Marie Curie trained bereavement nurse to help us through the period after we lost Elspeth, and she was an absolute star, so this is a cause that is very close to my heart. 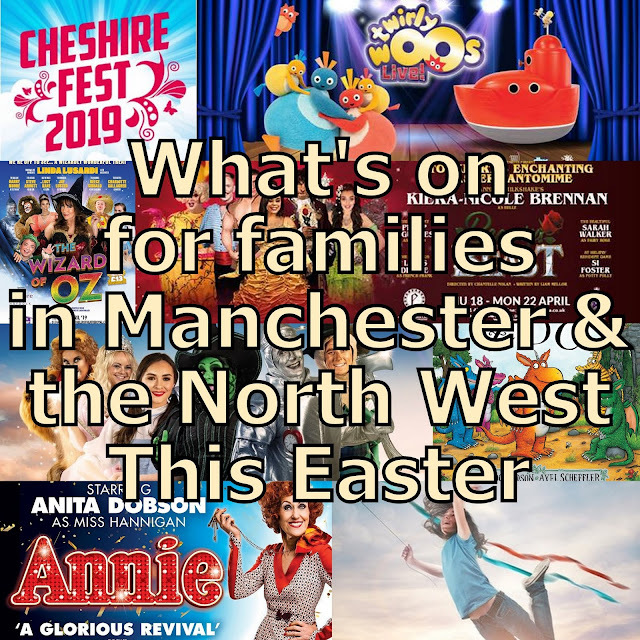 Everyone is welcome to pop in and join the party, and every slice of cake sold will help to raise vital funds for the care and support of people and their families affected by terminal illness. If you can't get to a local store then you can also host a coffee morning in your own home. 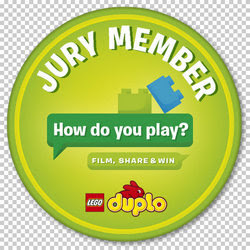 Sign up to get your own tea party fundraising pack with bunting, stickers, party props, fundraising tips and more. 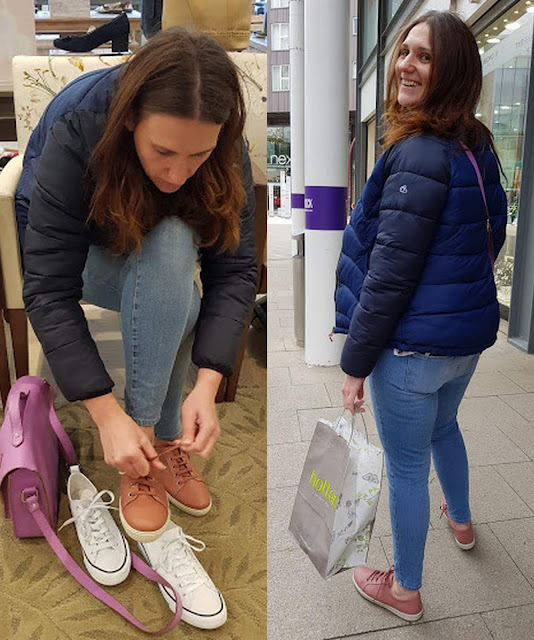 Find out more information on the Hotter Shoes Marie Curie webpage. I received my shoes for review.